It is easy used to drain oil in low pressure. vacuum in order to achieve its sucking function. fixed or movable working functions. The outside-layed cursor shows you the height of oil clearly. The adjustable oil tray adapts to any types of cars. and also can be collected by gravity. 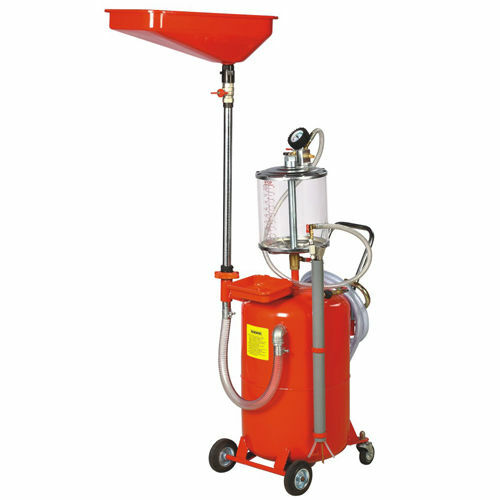 Each machine is equipped with different specifications of nozzles. The transparent visual messuring cup is convenient to observe oil. The tool tray can be disassembled. the highest pressure is 0.5bar when draining oil. Never use it for corrosive products.